Use this poster for displays by cutting out each dinosaur and laminating them to create an A4 card. Create an interactive display by dividing a low board backed in green paper into four using ribbon and display a dinosaur in the centre of each one. 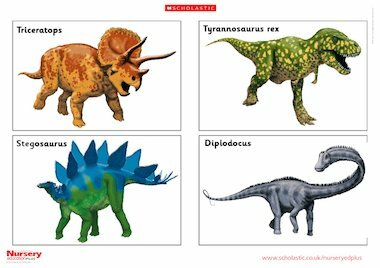 Attach children’s drawings of dinosaurs around each card and print out descriptive captions.